How to enable or disable comments in blogger, disable comments in blogger posts, disable comments in pages in blogger, how to hide comments in blogger. 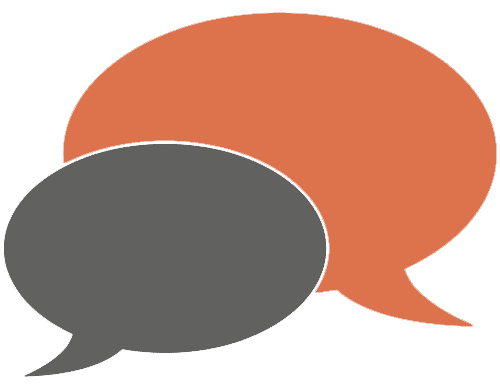 Previously I have created a post in which I have shown how to install diqus comments in blogger, today I am back with a related post(comments). This post is to tell you how to enable or disable comments on specific posts and pages in blogger. As commenting is a great way to share experience and interact with users therefore comments are very important for a blog. A blog with more comments on posts/pages is more popular than a blog having less or no comments. In blogger commenting is allowed on every post and page you create but sometime you need to disallow comments for a post or page such as about, sitemap or contact page because there is no need of comments in about, contact, sitemap pages. 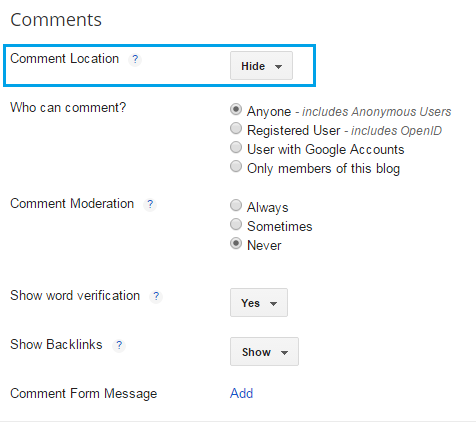 So In this post I will tell you how to enable or disable comments in a post/pages in blogger. If you are receiving spam comments on a post, you need to disable comments to get rid of spam comments. Some pages like contact us, about us, sitemap, disclaimer etc don't need comments. If a post is too old or if you wish not to receive any comment on a post you need to disable comments on that post. (2). Edit the post in which you want to disable comments. (3). On the right hand of the post box click on options and choose the desired option below Reader comments. Allow: This option lets visitors to see existing comments and leave more comments. Don't allow, show existing: By selecting this option you are allowing your blog to show existing comments but disallowing visitors to leave more comments. 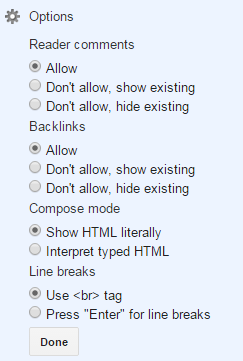 Don't allow, hide existing: By this option you are declaring neither to show existing comments nor allowing visitors to leave more comments. (4). After choosing a desired option click on Done and publish your post, congratulations you are done successfully! (1). Go to blogger dashboard and select settings in the menu on left side. (2). Now click on posts and comments and search for Comments. (3). Just below Comments click on embedded. (4). Choose hide and click on save settings. Embedded: This option allow visitors to post comments from the post which they are reading. Full page and Popup window: This option will take visitors to a new page where they can post comments. Hide: By selecting this option you are hiding all comments and visitors are also not allowed to post comments on any post or page. But this option only hides comments doesn't delete them. Do you like this post? was it helpful to you? give me your feedback below. Follow and subscribe to get latest updates about blogging tutorials. Share this post with others and help 101Helper grow. Search tags: How to enable or disable comments in blogger, disable comments in blogger posts, disable comments in pages in blogger, how to hide comments in blogger. Great site to read meaningful post, that will be useful for us and other. I was getting spam comments on selected old posts, so this is just what I needed. Thank you for sharing!